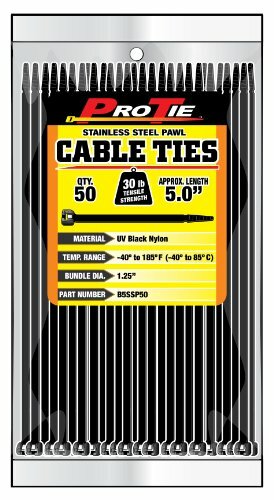 Pro Tie Stainless Steel Pawl cable ties are made from high strength and lightweight 6/6 nylon which are UV stabilized for outdoor use. Stainless steel pawls provide increased strength and security and infinite locking points for precision adjustment. Tensile Strength of 40-Pound.